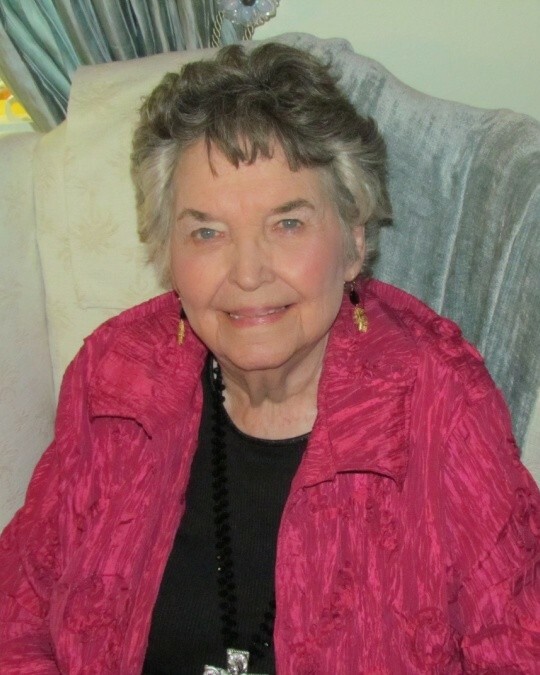 Jane Conklin passed away October 22, 2018. She was born during the depression years in Bomarton, Texas. Hard times with the farm there made her parents, Loy Lee and Erna McElhannon, hitch their old Chevy to a home-made trailer and pack all their belongings, along with their four young children to move south to Harlingen in 1933. They started out in a tar-paper shack near the airport and later, moved to a better house near Rangerville, and eventually to an even better house (with glass in the windows!) on a small farm near Rio Hondo. Jane was a humorous storyteller: she delighted in recalling her siblings; Coda, Jack, and W.C. (“Dub”) growing up poor but happy. They had a swimming pool (the irrigation canal) and listening to the old radio…when the wind-charger (a windmill) was generating electricity. She graduated from Rio Hondo High School and then met her “soul mate” for fifty-eight years (and eternity), Hugo Conklin who had a farm near Lozano. He raised potatoes, tomatoes, cotton, grain, and Jane worked alongside him. They also raised four children; Loy, Jack, Jan, and Sue. After the children were older, Jane went back to school and got her L.V.N degree and was a nurse at Valley Baptist Hospital for 25 years. She and Hugo retired and moved to nice home at Palm Valley and enjoyed traveling to Hawaii, Europe, Mexico, Alaska and the Caribbean Islands with their friends. They were also dedicated members of the Rio Hondo Baptist Church where Jane taught Sunday School and sang in the choir. Jane will be extremely missed by her surviving sister Coda Snowden and her 4 children, 7 grandchildren and 13 great grandchildren. Visitation will be Wednesday, Oct. 24th from 5-7 pm, at Buck Ashcraft Funeral Home, Harlingen. The funeral service will be Thursday, Oct. 25th at 3 pm, also at Buck Ashcraft. Interment will be at Mont Meta Memorial Park. In lieu of flowers, please give to one of Jane’s favorite charities; St. Jude’s Research Hospital, 501 St Jude Place, Memphis, Tennessee 88105, or South Texas Children’s Home, PO box 1210, Beeville, Texas 78104-1273.